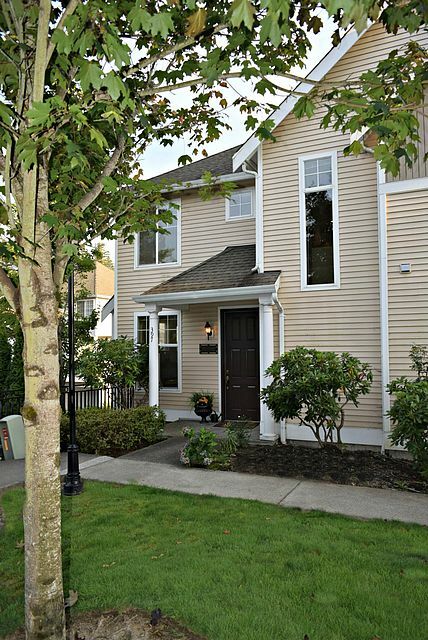 Highland Parc 3 bedroom, 2.5 bath townhome updated w/ new carpet and paint throughout! Kitchen w/maple cabinets opens to deck. Open floor plan w/ lots of natural light, gas fireplace & dining area. Master suite offers large walk-in & linen closet. 2 additional bedrooms upstairs and full bath. Great end unit with spacious 2 car garage with extra storage. Great location, walk to stores and restaurants. Lake Washington School district.